23andMe has been “revving up” their Ancestry Composition feature. The result is that some customers who have tested on 23andMe’s latest genotyping chip will start to see more precise detail in their Ancestry Composition results. “What’s happening here reflects both changes to our genotyping chip and our ever-increasing numbers of new customers. These new customers enabled us to “retrain” the machine learning algorithm and improve the accuracy and specificity of ancestry assignments we report, So now, for example, a customer with a percentage of their Ancestry Composition previously designated as ‘Broadly European’ may now see some of this ancestry assigned as ‘French or German'”. Customers who are interested in their Chromosome Paintings may notice improvements due to 23andMe’s use of an updated “phasing” algorithm. The Chromosome Painting feature is a colorful representation of what makes up your genome. Currently, 23andMe uses 24 reference populations from around the world to report 31 population labels, including higher-order groupings. 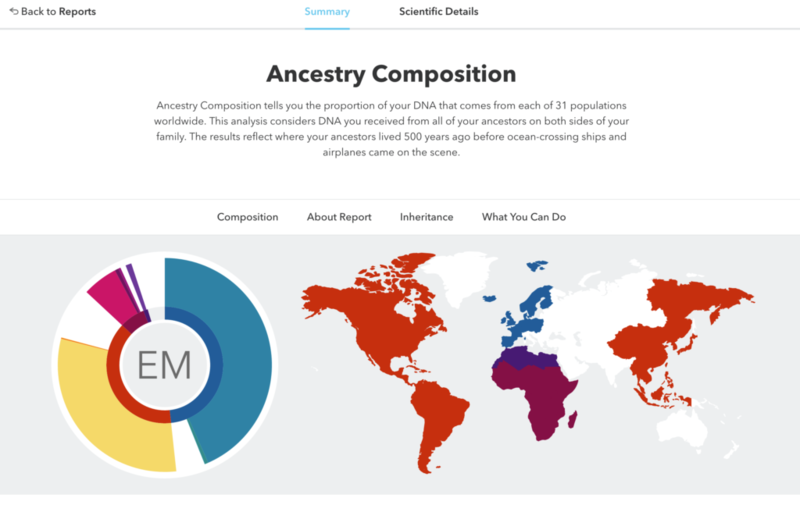 Adding new populations will allow 23andMe to offer more details to customers. Changes to their genotyping chip will help 23andMe to make updates. They periodically update the chip they use for genotyping. 23sndMe does that to take advantage of improvements in technology, to update the kind of information they can offer customers and to offer flexibility for future research. Their newest chip is the 5th version and is called v5. It is an Ilumina Infinium Global Screening Array supplemented with approximately 50,000 SNPs of custom content. Customers who were on an old chip do not have to take the 23andMe DNA test again. However, 23andMe points out that for some reports, such as the new genetic health risk reports and carrier status reports, a customer would have to test on a new chip in order to see those.